I love that hot pink and white and green one - too cute! I am a fellow romper lover myself! Love all of these and how affordable they are. 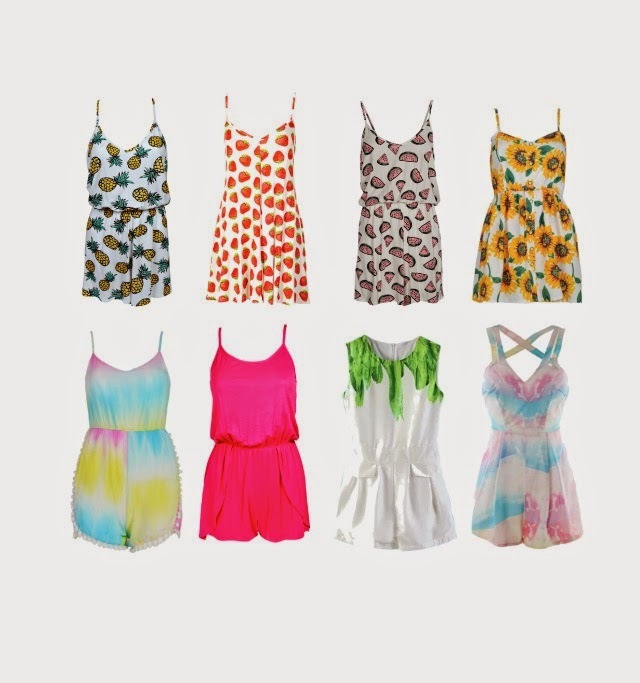 love that pineapple romper!!! you have an awesome blog, I followed you on GFC, and would soooo love if you would check out my blog and follow me back! Oh, I love the green-white one! So cute and simple. Plus, it doesn't have spaghetti-straps, which is what I prefer. Love rompers and your picks! I love me a good romper!